This is a self documentation to remember installation steps in future. 1. 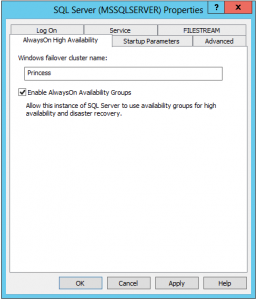 Install 2 Standalone SQL Server 2012 Enterprise Edition on 2 Windows Server 2012. 2. 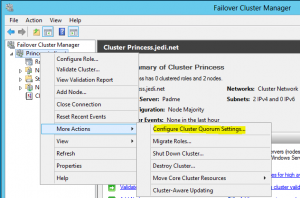 Enable Failover Clustering feature on both Windows Server 2012. 3. Configure SQL servers to run with domain admin account. 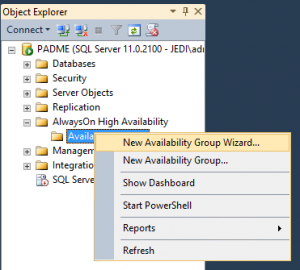 Jedi\sqlservice is a normal domain user without any domain-wide custom privileges. 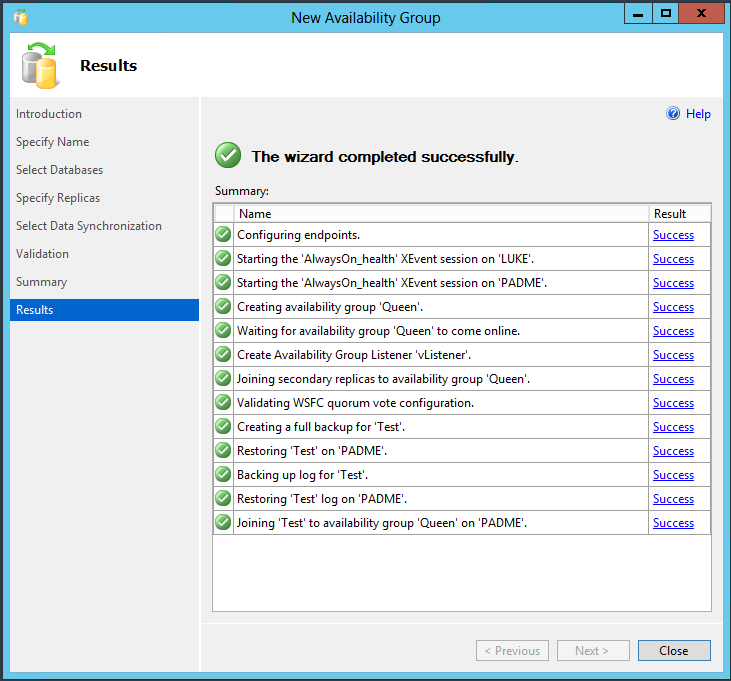 But I joined them to local administrators group of my Windows Servers. Also you should add Jedi\sqlservice to SQL logins. I joined it to “sysadmin” user role. 4. 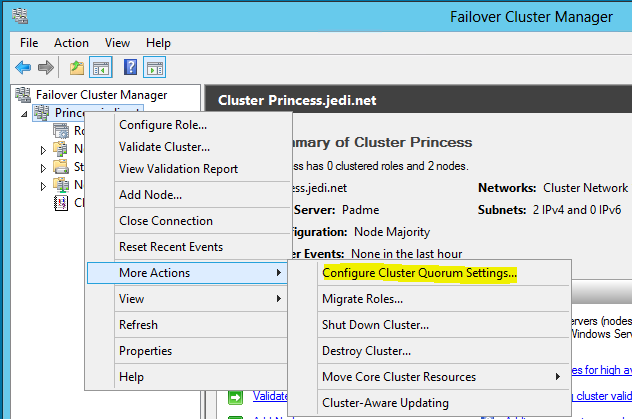 Go to Failover Cluster Manager and create a cluster. 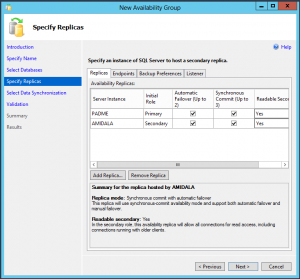 Note: If you are using Windows Server 2008 / 2008 R2, then you should apply this hotfix first. 5. 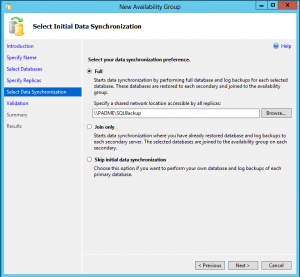 You have to change quorum settings for Dynamic quorum model. 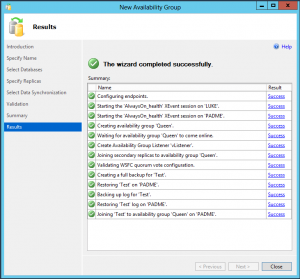 Select “Advanced Configuration” for Dynamic quorum settings. 6. 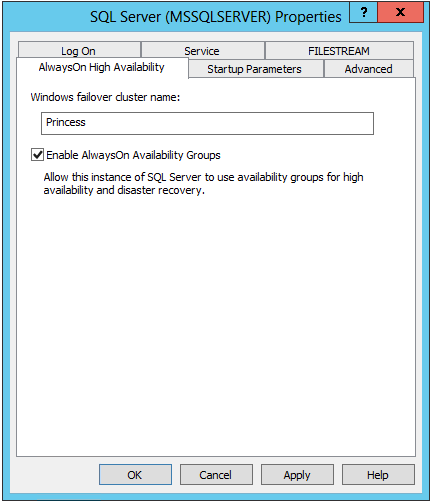 Go to “SQL Server Configuration Manager” and enable Always On feature. 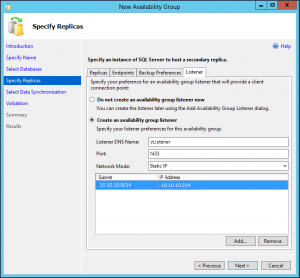 You can enable Always On from SQL Service properties. 7. Open SQL 2012 Management Studio, create a database with a Full recovery model. 8. 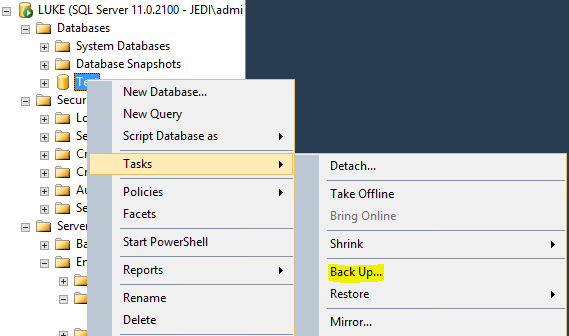 Take a full backup of this database. 9. 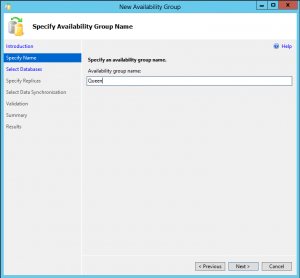 Expand Availability Groups and click “New Availablity Group Wizard”. 10. 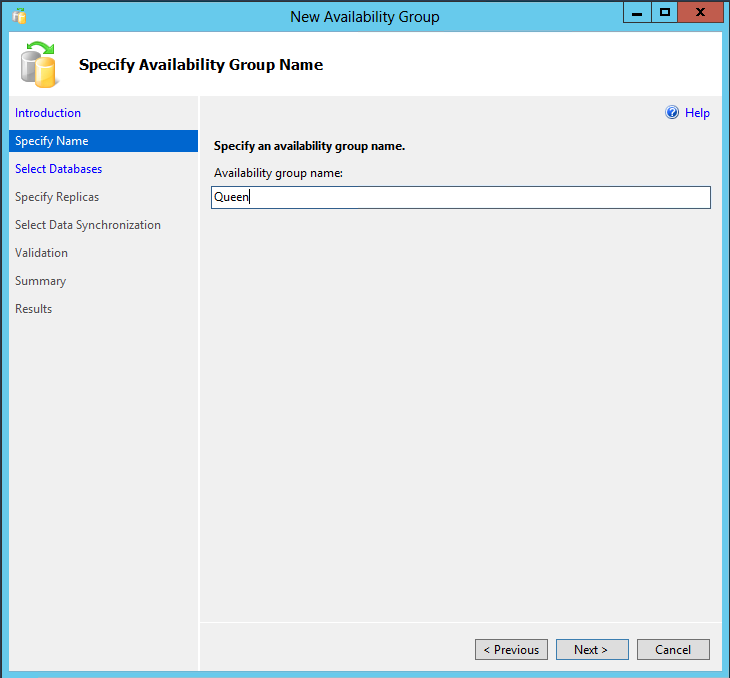 Specify an availability group name. 11. 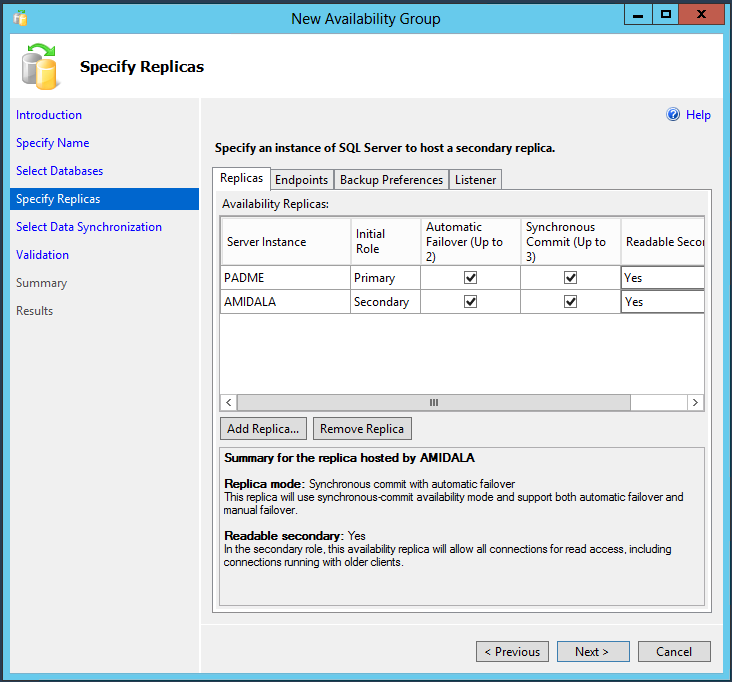 Add your SQL replicas. 13. 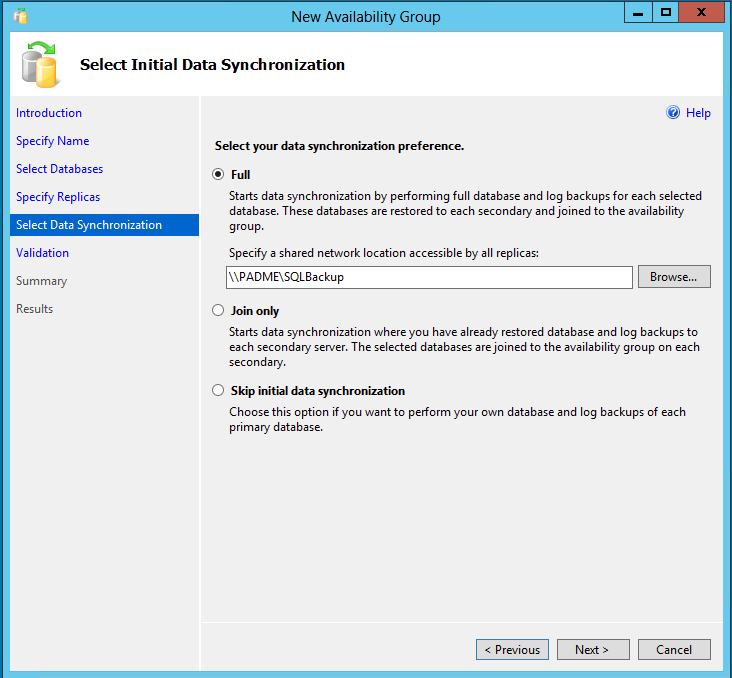 Create a shared folder for first sync. Now you should use vListener name in your connection strings.